I'd like to note that you two are comparing different things. One is comparing to Canon (hence the "all but the best FF sensors) while the other is comparing more accurately to Nikon, Fuji, Sony. 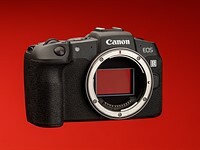 Canon hasn't really updated their sensor technology significantly for a while. The Sony and whatever sensor Fuji is using have superior numbers. I tend to wonder if Canon is just keeping on top via rep and client base.. I see great praise for cameras such as the Canon 5D mark II and III, and see a lot of consumers using them, but the newer Nikons on all fields seem to blow Canon stuff away... with strict senor tests anyway. Once you start bringing lenses, processors, functions, and other such things in, the result may be quite different.